Here come the "Holiday-themed" things from all the brands! The limited edition flavors will include Pecan Pie and Salted Caramel, which have been released previously, and newcomer Sugar Cookie. Those are pretty weird flavours for potato chips, right!? RIGHT!? But how cute are the cans? They're wearing SWEATERS! Hehe. 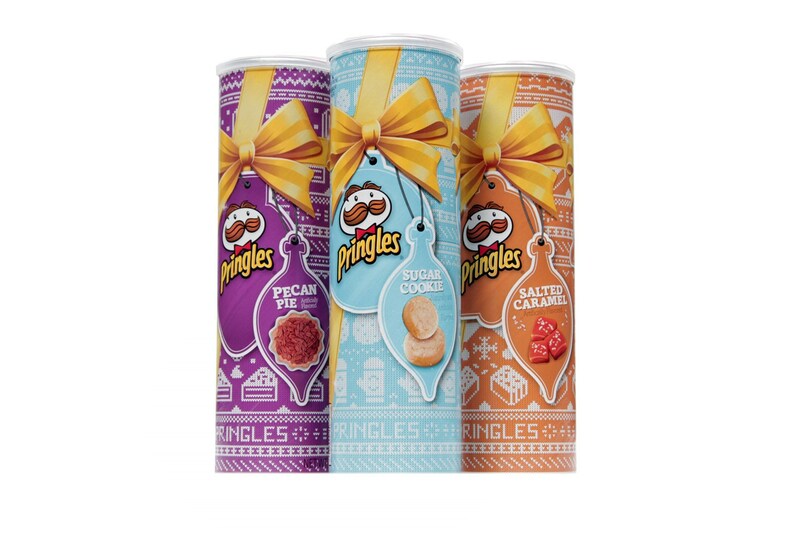 The Pringles Holiday 2016 limited edition flavors are available in America. Tbh they probably won't be making their way to NZ. And we think we might be okay with that.